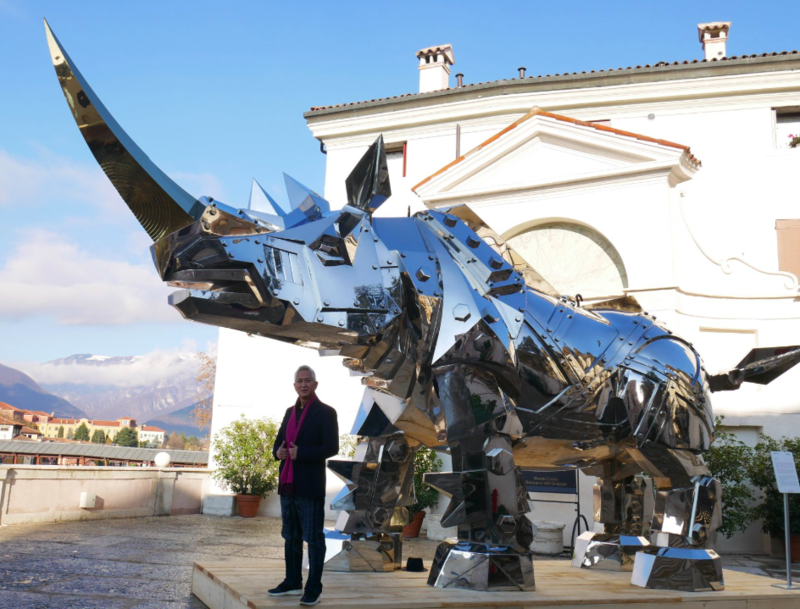 TAIPEI (Taiwan News) – “King Kong Rhino,” a sculpture artwork created by famed Taiwanese artist Shih Li-jen (施力仁), is currently exhibited at Palazzo Sturm, an art museum in Bassano del Grappa, Italy, Chinatimes reported on Monday. Shih created the sculpture, which is nine meters long and weighs five tons, to raise global awareness of environmental protection and animal protection, according to Chinatimes. Shih is famous for creating gigantic rhino-themed sculpture artworks. “King Kong Rhino” is made of stainless steel plates, creating the effect of silver glasses that reflect the surroundings. The artwork will be exhibited at the museum until December 15, 2019.